This is the second part of this character profile, so you should read the sample Sith inquisitor character profile part #1 article first. Fair dinkum. With the combined talents of Orfenn and C2-TP, the bio-factory turned out to be remarkably effective. As the pain and symptoms gradually subsided, Orfenn went through startling personality changes. The brutality, cruelty, aggression and lack of empathy receded. Though that would undoubtedly result in problems as she had built her position on violence and pain, she was essentially a new person. Two months later, pirates stormed the Badass Buzzard. This crew was working for the top mob back then – the Drayen syndicate. Even the Hutt cartels had been wary of Nok Drayen. They had given him free rein within an entire galactic quadrant to avoid devastating mob wars. While the Buzzard was a hard target, Drayen was determined not to let Fahrr build her power base any further. The raid was intended more pour encourager les autres than for profit. Thus, one key move was pumping poison gas into the Badass Buzzard. Orfenn was in the pharma lab at that point. She shut down all sealed doors, saving those within from the gas. She then contacted the pirates, negotiating for allowing them to access the lab. A reasonable deal was reached. As expected, the pirates promptly betrayed her as she opened the door. She slew the Drayen crew that tried to kill her, using Force lightning. Then she offered new conditions for the lab’s surrender. This deal held. Orfenn thus joined the Drayen syndicate. Between her personal power, her medical expertise and her knowledge of narcotics she rose up quickly in the ranks. As she became one of Drayen’s second-tier lieutenants, she took the callsign “Chronicle”. She became a close friend of an underage, but brilliant and daring, Twi’lek lass going by “Vette”. Chronicle and Vette worked for months to create a new arm of the Drayen syndicate. This was facilitated by young Vette and Risha Drayen, the boss’ daughter, seeing each other as sisters. This new crew illegally produced medical drugs, undercutting patent holders. Due to the much larger clientele, this venture was even more lucrative than traditional narcotics. Nok and Risha Drayen eventually left in mysterious circumstances, after Nok had all his first-tier lieutenants murdered. This led to Vette leaving the syndicate as well. Chronicle seized the occasion to lessen the ties with the rest of the Drayen mob, pocketing a greater amount of the profit. This was also meant as insulation against the inevitable succession war. One of the pharma companies that was losing the most money from Chronicle’s products was a front for the Empire’s spooks. They were thus the first to realise what was going on, and how sophisticated the “pirate pharma connection” was. IIS was working on an alliance with Hutt syndicates. Taking down one of the Drayen criminal empire’s best money-making engines would be worth many brownie points with the Hutts. IIS had no less than two moles within Chronicle’s operation. These had been compromised when IIS vanished evidence that they had been involved in taking down Nok Drayen. 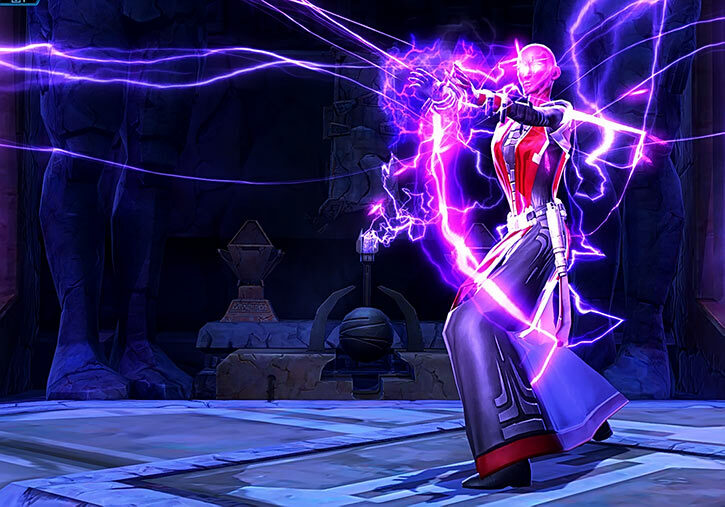 The Sith Empire was launching a major initiative in recruiting Force sensitives and training them on Korriban. Chronicle had been described to them as a Sith Sorcerer. 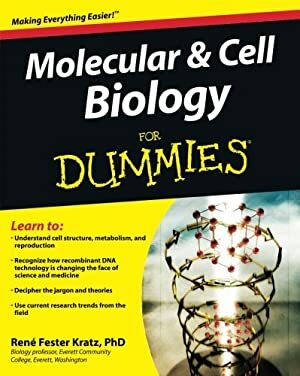 But in actuality, she didn’t know the specific Force and alchemical techniques warranting this title. Since Chronicle’s operation wasn’t on Republic turf, there was little reason to go covert. An Imperial Navy task force came in. Sabotage meant that they weren’t detected in time. Chronicle swiftly deduced who was one of the traitors and fried her on the spot, but it was too late. She attempted to negotiate, using a bluff about a self-destruction system that wasn’t actually functional yet. But the second traitor had provided intelligence about that, and Imperial troops soon boarded the facilities. Resistance being, as they say, futile, Chronicle ordered a surrender rather than see a pointless massacre. Most of her pirates were lab workers and scientists, anyway. Aren’t you a little short for a Sith Sorcerer ? Chronicle and her pirates were thus forced into slavery. The facilities were dismantled, reassembled in Imperial space, and restaffed with the exact same crew. However, they now wore shock collars and received their orders from Imperial Intelligence. Orfenn was placed under heavy guard. They sent her to Korriban straight away, on a fast corvette. 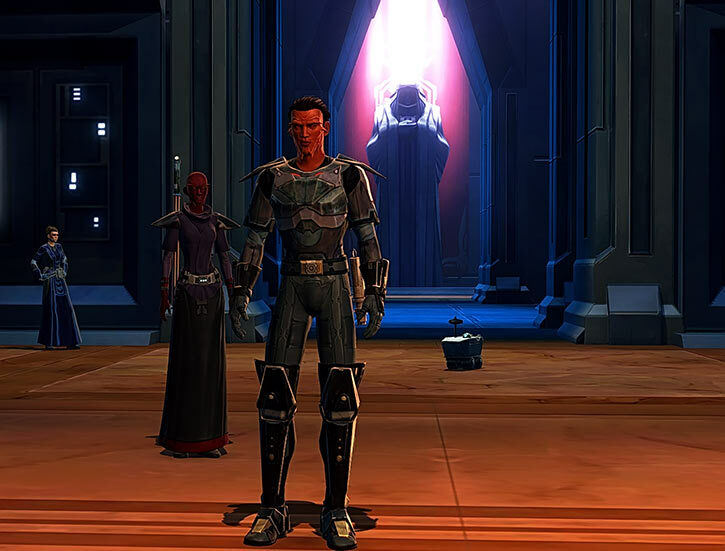 Orfenn was handed over to the Korriban Academy. Her shock collar was removed, and she was given a poor-quality Sith training sword. Unbeknownst to her she missed Vette, who had also been a slave at the Academy, by two days. Vette had just been taken off-world by her new master – Ms. Klustre Taschen. 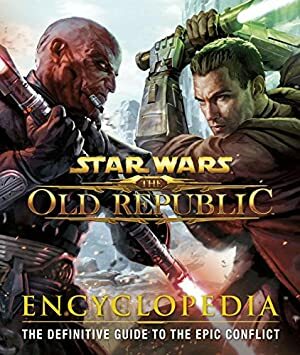 The Sith Overseer assigned to Orfenn’s class was obsessed with culling the weak. He saw his job as killing off most of his charges so that only the strong would be handed over as Acolytes to the Lords of the Sith. The presence of slaves in newer classes revolted him, as he considered them all to be filthy vermin. 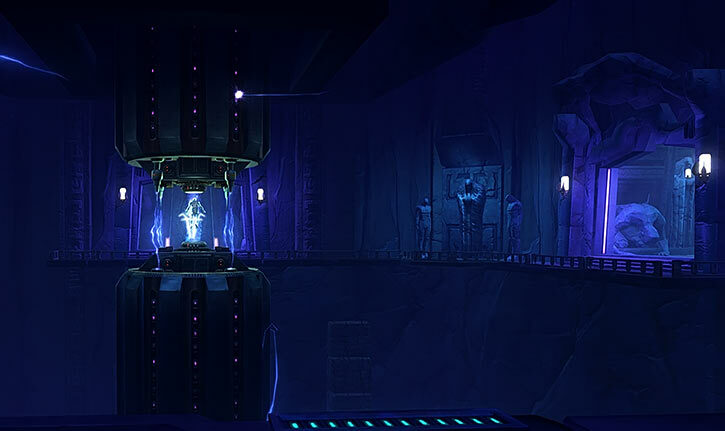 The Overseer attempted to get rid of Orfenn right away, sending her to a minor tomb now occupied by a Sith hermit. Not only was the place dangerous, but the Overseer knew that a half-dozen failed apprentices lived there. All were eager to kill new apprentices to take their place and get a second chance at the Academy. However, Orfenn was stronger in the Force than her prejudiced Overseer suspected. 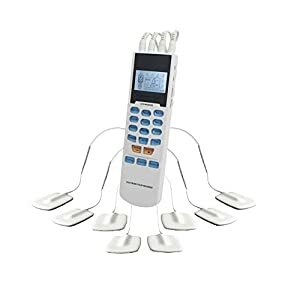 She slew all the failed apprentices on the spot with a barrage of Force Lightning. Most of the rest of the class lacked the strength to become Sith. The exception was another Sith pureblood named Ffon . The Overseer soon decided that Ffon would be the class’ only survivor. He ruthlessly killed off the other apprentices during their curriculum. But Orfenn stuck fast. She overcame all the near-suicidal trials that were thrown at her. These often took place in unexplored, just-unearthed Sith sepulchres teeming with hostile lifeforms. 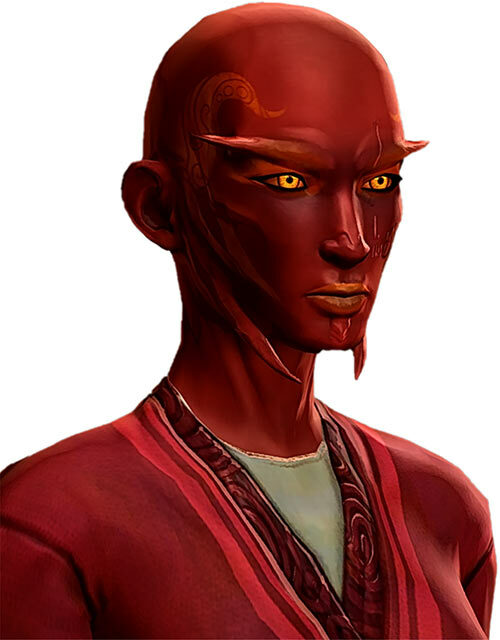 The batch of apprentices handled by this Overseer was intended for Lord Zash (spoilers), a female Human Sith. Unexpectedly, Lord Zash seemed to really like the ex-pirate. She also was fascinated by the documents Orfenn brought back from the high-risk exploration she had to do. One document in particular held instruction to recover a great weapon. 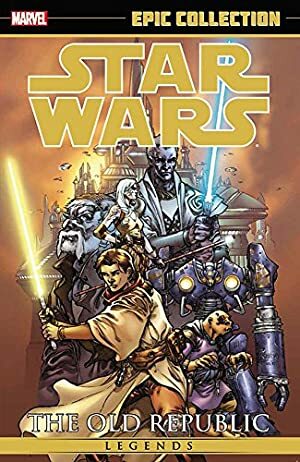 It was stored in the tomb of ancient Sith Lord Tulak Hord . By that point the entire class has been killed off except for the two Sith purebloods. The Overseer had just spent the last two apprentices, ordering them to covertly murder the former Chronicle or die. But she easily slew them. Orfenn had further acquired a secret edge. Vette’s contacts within the Academy told her about a former Drayen mob officer there. Vette had an old lightsabre smuggled to her friend via fellow slaves. The Overseer sent Ffon to complete the last trial well ahead of Orfenn, to give him a massive time advantage. However, that backfired. Lord Zash finished studying the instructions about the tomb of Tulak Hord *after* Ffon had left. This gave Orfenn critical information that her rival lacked. 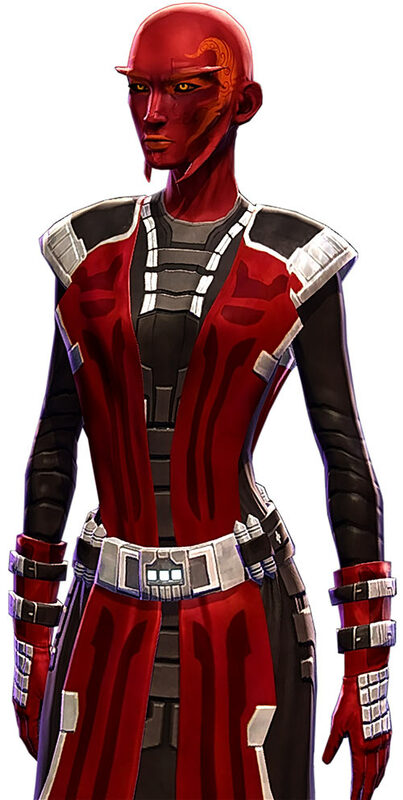 She thus was the one who recovered the dreaded Dashade mass murderer Khem Val. Val had laid in suspended animation for centuries. Lord Zash slew Ffon as she chose Orfenn as her apprentice. Thus, after her brief second stint as a lowly slave, Orfenn Natrix had in an instant ascended to über-privileged Acolyte to a semi-major Lord of the Sith. However, Lord Zash’s attitude was odd. In particular she kept complimenting Orfenn about her skills in a forced, decidedly un-Sith-like manner. Due to her health problems, Orfenn is underweight, bald and with bony features. 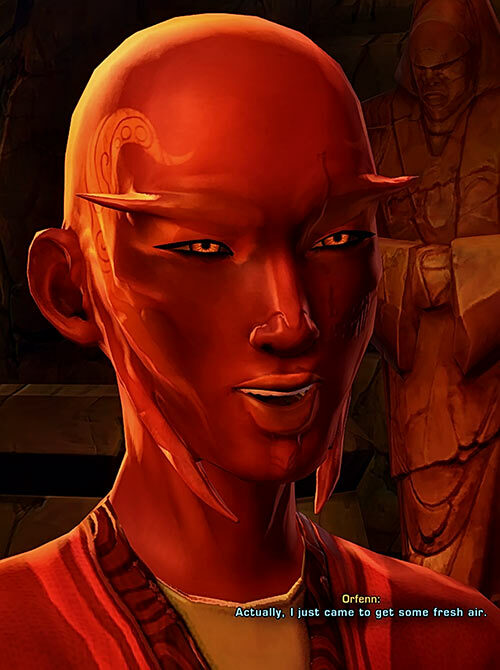 Her blood-red skin, baleful orange eyes and the sharp protrusions on her face mark her as a so-called “fullblooded” Sith. Being self-conscious over having lost her hair as a child, Orfenn has orange tattoos over her face. Some resemble makeup (but are actually permanent tinting). Others are traditional Sith-as-in-the-species motifs. She wears a visibly armoured, black body glove at nearly all times. She’s a big fan of wearing red, white, black and sinister robes over it. She’ll go for the more impressive and sorcerer-like stuff she can find. Especially if it makes her look bigger and more martial. Her body glove has padding to make her slight chest look a bit bigger. She’ll nearly always wear some sort of shoulder pads to compensate for her slight shoulders. And she prefers wearing large gloves that hide her tiny, tiny wrists and gaunt fingers. She also has foundation on that does a great job at concealing skin damage from disease. Like her tats, this is a permanent “add-on” to her skin. 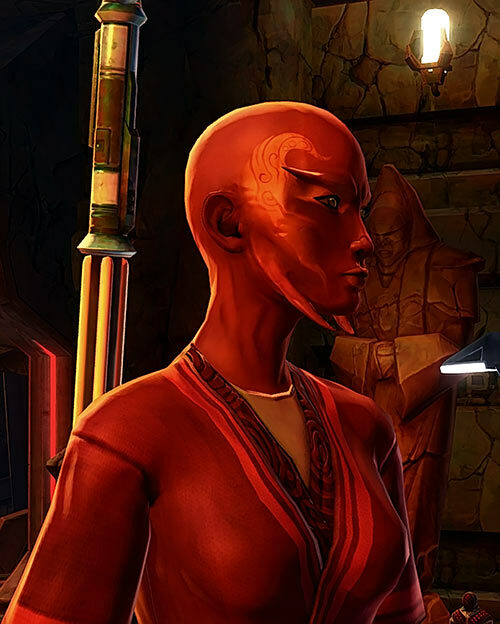 The Female Sith Inquisitor is voiced by Xanthe Elbrick . As an adolescent, Orfenn was cruel and evil. She lashed out with her newfound power in a desperate attempt to protect herself. However, she also knew to heal a bit. Though she wielded that as a weapon to extort favours, healing fellow slaves had always made her feel better about herself. Her most obvious character trait is her unflappable, wry, sarcastic, irritating self-confidence. Her flippancy conveys the impression that nobody is powerful enough to harm her. The former Chronicle is both a made woman and a self-made woman. She is used to working with very dangerous, unreliable persons in crappy, dangerous circumstances. As such she has to be sharp, paranoid, charismatic – and to firmly set her own goals and plans. She can’t afford mistakes, and has to come across as somebody you’d never want to cross. At all times. In a safer environment, she probably would have become a brilliant medical doctor and scientist with her own startup lab. Finding better, safer, cheaper treatments is an intellectual challenge that excites her. She feels great about solving health issues. Ffon and Orfenn. Click for a larger version. Orfenn also avoids killing if she has a choice. And if she has to kill, she’ll unleash a massive attack to end her opponent quickly and without suffering. She’s not happy about all the cruel things she did when she was younger, dying and pain-wracked. She sees herself as stronger than that now. To her, evil and cruelty are proof of weakness. Thus, while she looks very much like a Dark Side sorceress (if a wise-arse one) and is a former pirate and drugs-dealer, she is an ethical grown up. And she skipped the entire indoctrination process at the Academy, since the onus was on murdering her. Flash is based on pain rather than bright light. It thus ignores Shade, but may be resisted with specific defenses such as Schtick (Pain Management). Flash can be Combined with Lightning and ride its Range. However, that lowers the EV of Lightning by one. Lightning’s Range is but half its APs (round down), but it has Autofire. Recall is a Skilled Power. Telekinesis has No Fine Manipulation. Telekinesis receives a +2CS OV/RV penalty to affect moving objects, *plus* their current APs of speed. Evasion requires wielding some form of lightsabre. Gadgetry is limited to bioactive compounds. Expertise (Management & logistics), Familiarity (Sith lore), Iron Nerves, Lightning Reflexes, Scholar (Narcotics and medical drugs). Street (Low), Vette (High, but enslaved away), Underworld (Low). MPR (Orfenn is very sick and only kept alive by her implant), Misc. : people tend to make assumptions about fullblooded Siths, Misc: body mass is 1 AP. 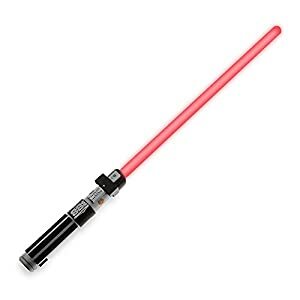 Sith training sword, early [BODY 02, EV 05, Force Field: 03, Limitation: Force field only to protect the weapon itself]. Sith training sword, later [BODY 03, EV 06, Force Field: 05, Limitation: Force field only to protect the weapon itself]. BODY GLOVE [BODY 03, Blunting: 03]. Holocom [BODY 01, Radio communications: 15, Bonus: Radio communication is fully audiovisual, Misc. : includes full translation options for anybody addressing Orfenn, though it is limited to known organic and droid languages].